← It’s Janet Jackson’s Birthday And I Need To Dance! 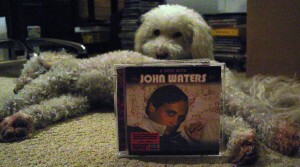 Several years ago I had the pleasure of speaking with movie director/screenwriter John Waters. He was putting together a CD compilation entitled A Date With John Waters and was looking to license a couple of songs from Warner Music, where I was Vice-President of Licensing. Our discussion of the deal points for the licenses evolved into a general discussion about licensing. I found it interesting that John Waters, a famous filmmaker who used a lot of music (and used it very effectively) in the dozen features he directed, had no idea how the licensing fees were determined. I’m not putting him down for not knowing; why would he? His role was on the creative side, not the business side. John told me that the most expensive license fee he ever had to pay was for the use of the song “Tomorrow” from Annie in his film Serial Mom. He thought the licensor charged him as much as they did because they were secretly hoping he would say it’s too expensive and not use their song, thereby avoiding associating an innocent children’s song with one of his subversive films. I remember so clearly the scene in which the song is used. Mrs. Jensen sits in her easy chair to enjoy the videotape of the movie Annie. As she watches and sings along with the famous show-stopping number, Beverly Sutphin (Kathleen Turner), the titular serial killer, breaks into Jensen’s house and beats her to death with a leg of lamb. It’s the perfect song to be played during this murder scene, making the scene that much more memorable. Whoever negotiated that deal on behalf of the copyright holder knew the value that song brought to the scene/film and charged accordingly. It was worth the money. Which brings us to Cher. I’m not saying listening to Cher’s records is akin to being bludgeoned to death by a leg of lamb, her 80s output notwithstanding. The part of me that is tickled by the ridiculousness of a woman bludgeoned by meat while singing along to “Tomorrow” is the same part of me that enjoys Cher’s late 60s/early 70s music. “Bang Bang (My Baby Shot Me Down),” with the lyric “Music played, the people sang / Just for me the church bells rang” and the bizarre bridge, during which Cher yells “Hey” like she’s shooing her dog off the newspaper she is trying to read. “Gypsies, Tramps & Thieves,” in which Cher, who is part of a traveling show in which her mother dances for money thrown at her and her father sells something called Dr. Good, gets knocked up at 16 by a 21-year-old. She sings “Papa would have shot him if he knew what he’d done.” The baby she had should have been a clue. “The Way of Love,” which so eloquently describes an unrequited love with this Buttheaded lyric: “When you meet a boy that you like a lot / And you fall in love but he loves you not.” “Half-Breed,” in which Cher blames her mixed heritage on her being a trollop. “My life since then has been from man to man / But I can’t run away from what I am,” she sings. And the crème de la crème, “Dark Lady,” in which her man and the fortune teller with whom he was having an affair are killed by Cher, alas not with a leg of lamb.